Scuba diving opens up an adventure that's unimaginable for those with land legs. The wonders that lie beneath the water's surface are amazing. From the oceans and lakes to hidden caves and more, those who scuba see things that can only be imagined from the land. Learning to scuba dive was one of the best decisions I have ever made. Even these days, every time I go diving, the thrill is just like the first dive. Along the way, many experienced divers have shared their own diving tips with me. Some other tips are gained from my own experiences - usually after a bad one. Here are some of the tips to share with you. When choosing a mask, it is best for you to try on the mask before buying. Put on the mask, and inhale through your nose. Make sure you don't have any hair stuck at the skirt of the mask. Hold your breath and see if the mask stays on and not fall off. Check to see if air is leaking into the mask. If the mask falls off, it usually means the shape of the mask skirt isn't suitable for your face shape. Try as many brands and models as possible. Most new masks have a protective film on the window. This can cause fogging problems during your dives if the protective film isn't cleaned away. Before diving with a new mask, clean the window with a recommended cleaner liquid or defogging liquid. If you can't get hold of one, try rubbing some clothing powder detergent onto the window and soaking your mask in water mixed with clothing powder detergent and leave it overnight. I've had great experiences using this method. Cleaning your mask before the first dive is very important. I should know. I've dived at great dive sites but was so busy doing the "flood and clear the mask" manoeuvre to clear the fog that I didn't see very much, or just saw lots of blurry things at best. On my dive trips, I've also found it useful to bring along some clothing powder detergent packed in a small pill container. I just clean my mask with detergent at the end of the day ready for the next day's diving. Great way to keep my mask crystal clear all throughout my dive vacation. Have you ever felt the regulator in your mouth seeming to be pushing your mouth to the left during your dives? You know, the feeling that if you don't bite hard enough on the mouthpiece, the regulator might just get pushed out of your mouth? If you don't own an octopus with built in swivel at the regulator, or don't have a first stage swivel, you might experience this discomfort. One way to fix this is to buy and fit in a regulator 2nd stage ball swivel. Another way I found quite useful to me, is to turn the air tank slightly in the clockwise direction. As you assemble the Buoyancy Control Device (BCD) to the compressed air tank, with the BCD facing away from you, instead of having the K-valve face directly away from you, turn the tank clockwise by about 30° so that the K-valve is pointing slightly to the right before securing the BCD to the tank. You should be able to feel the difference. If you regularly do boat and shore dives, I recommend that you get a pair of booties and open heel diving fins. Having booties on as you enter the sea from the shore will protect your feet from sharp corals and stones from cutting your feet. You can walk comfortably to a certain depth before putting your fins and begin your dive. On the boat, you will at least minimize your chances of slipping on the wet floor. For open heel fins with those removable buckles, the best way to put on your fins is to slip the strap over your heels. While to take them off, by slipping the strap under your heels and removing the fins. I know this advise seems to make the buckle useless, but from my experiences and many other diver's experiences, the time we most often lose a fin strap or buckle is at the end of a boat dive when we take off our fins by unbuckling while in the water before getting on the boat. And finding a replacement strap or buckle while on an island dive trip can be somewhat frustratingly difficult. At the end of your boat dive, when you take off your gear before climbing on to the boat, always take off your weight belt first, then your BCD and lastly, your fins. I hope you find some of these tips as useful to you as it has been for me. Here's to wishing you a great diving experience on your next diving vacation. Jacob Mojiwat runs Sipadan Diving Vacation (http://www.SipadanDivingVacation.com), a booking service website for resorts on Mabul Island, the gateway to diving at Sipadan, Mabul and Kapalai Islands. 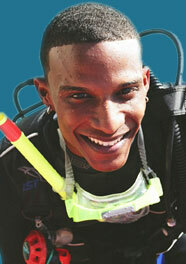 He is passionate about diving and has managed to convince many of his friends to take up diving. He lives in Kota Kinabalu, just a short plane ride away from Sipadan Island. ï¿½Copyright 2019 Equinoxe-aqua.com. All rights reserved.